Author(s) Markham, Clements R.; Guillemard, F. H. H.
Sir Clements R. Markham (1830-1916) had succumbed to smoke after accidentally igniting his bedclothes while reading by candlelight; the task of completing this history therefore fell to his friend and fellow geographer F. H. H. Guillemard (1852-1933), who published it in 1921. In the course of his long career, Markham had sailed to the Arctic in search of Sir John Franklin, jeopardised his job in the India Office by joining the British attempt to reach the North Pole in 1875-6, and served as president of the Royal Geographical Society, sending Robert Falcon Scott on his first expedition to Antarctica. 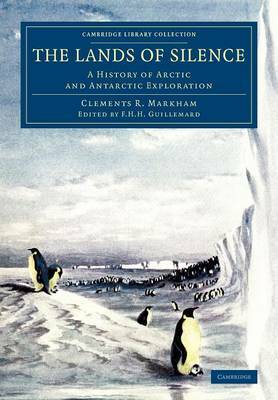 His extensive knowledge of the prominent polar explorers and expeditions of his day lends this publication an especial interest and authority. Enhanced by a number of maps and illustrations, the book also considers certain scientific and economic developments, notably the growth of the whaling industry.